The Batam Industrial Development Authority (BP Batam) was established based on the issuance of Presidential Decree No. 41/1973. It has the authority to manage the development of industrial compounds in the 415-square-kilometer industrial complex in Batam city, Riau Islands. In the early 1970s to 1980s, the city was a logistical base for oil exploration by state-owned oil and gas company Pertamina and was inhabited by only 6,000 people. The master plan for the city’s development was designed in 1972 in cooperation with Japan’s Nissho Iwai and the Pacific Bechtel Incorporation from the United States. During the period, BP Batam saw three leaders: Ibnu Sutowo (1971 to 1976), JB Sumarlin (1976 to 1998) and BJ Habibie in ( 1998 ). Under Habibie’s leadership, Batam took off as an industrial area with an emphasis on infrastructure building and capital investment development. It was chaired by Habibie until July 1998, when he was appointed president. He was followed by Ismeth Abdullah (1998 to2005), who later became Riau Islands governor and was replaced as chairman by Mustofa Widjaja (2015 to April 2016). In 2007, Law No. 44 was enacted to supplement Law No. 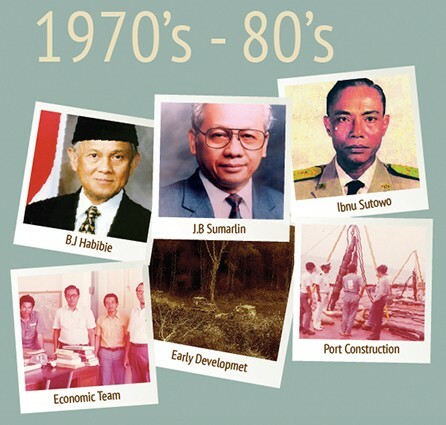 36/2000 in establishing Batam as a free trade zone for 70 years. BP Batam was appointed as the manager of the free trade zone. Around that time, a number of new industrial sectors flourished in the area, including shipyards, maintenance repair and overhaul services for aviation and a disaster recovery center. After 45 years of service, the institution is undergoing a big transformation this year. The management responsibility shifted from the Riau governor to the Office of the Coordinating Economic Minister as per Presidential Decree No. 8/2016. On April 6, a new top management team was appointed to head BP Batam. The new head of BP Batam is Hatanto Reksodipoetro, former Indonesian ambassador to Norway and former secretary-general for the Trade Ministry. Its vice chairman is former director general of the Industry Ministry, Agus Tjahajana Wirakusumah. Meanwhile, its deputy chairman for administration and general affairs is former Finance Ministry taxation director general Sigit Priadi Pramudito. The deputy chairman for planning and development is former anticorruption commission deputy chairman Junino Jahja. The deputy chairman for business facilities is the former director of strategic planning and funds management at the Plantation Fund Management Body, RC Eko Santoso Budianto. The deputy chairman for additional business facilities is former assistant to the coordinating economic minister, Purba Robert Mangapul Sianipar. Meanwhile its deputy chairman for public services is former Indonesian ambassador to the World Trade Organization (WTO) and Trade Ministry director general Gusmardi Bustami. Since taking office, the new management team has made rapid changes to accelerate development in Batam, where attempts at reform usually meet a number of challenges and obstacles. However, the new team and the 2,700 employees of BP Batam are committed to continuing and improving development in Batam by prioritizing a clean, professional and transparent institution. Today, Batam has granted principle permits to 128 new projects worth US$65 million and issued business license for 62 projects worth at US$476 million. BP Batam has also reformed land management through online systems. A breakthrough in the investment policy for three-hour investment license issuance and another program to ease construction permit issuance were launched in conjunction with a plan to construct buildings in 24 industrial compounds that meet at least one of two requirements: a minimum investment of Rp 30 billion or employing 300 local workers. The new application system was launched on Sept. 1. Apparently, the new permit issuance process has attracted a number of companies. At least one Australian-Singaporean company called Blackmagic Design has benefited from the new application process. Meanwhile, four more foreign companies are planning to register their businesses through the new system soon. Furthermore, new infrastructure projects involving the construction of water reservoirs, a residential complex for workers, public transportation system, toll roads and a bridge connecting the islands of Bintan and Batam are also ready to be launched. There is also another ongoing plan to turn Hang Nadim airport into what BP Batam calls the aerotropolis of the city, which integrates an industrial metropolis comprising warehouse facilities, offices, hotels and shopping centers as well as a business facility, relying on Batam airport’s on-time logistics. With the transformation of the Batam industrial complex, celebrating 45 years of BP Batam’s journey is marked with the spirit of dedication, commitment and hard work. 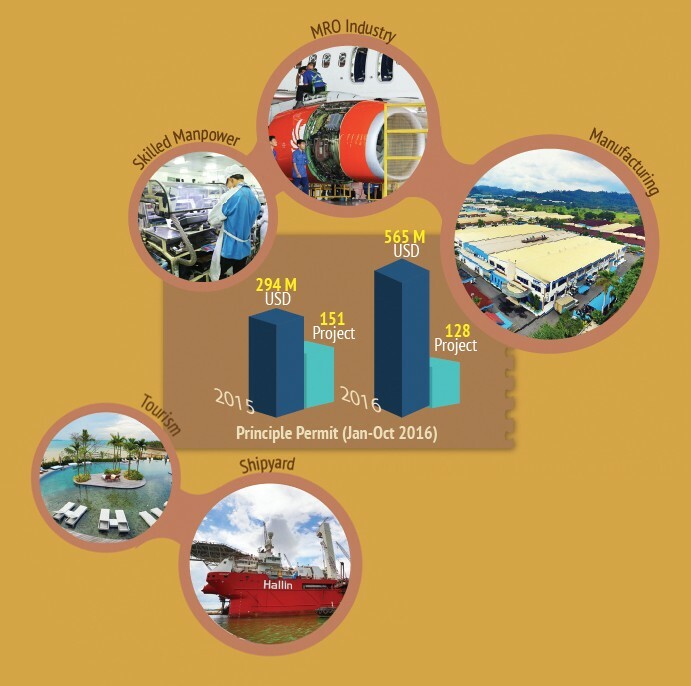 The institution is committed to continuously improving its services to develop the economy of Batam, one of the strongest contributors to Indonesia’s economy.